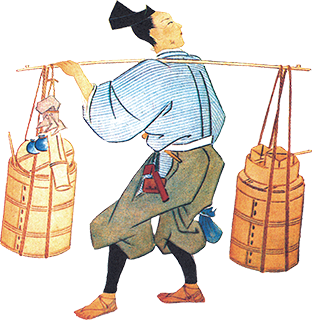 Yamanaka Cooking Oil Co., Ltd.
Sale of Cooking Oil and Wood Coating/Finishing Oil. 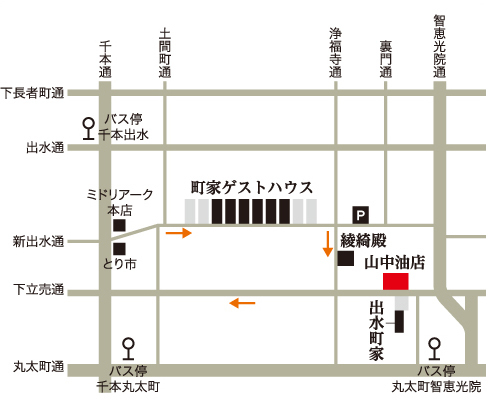 take Kyoto City Bus to Maruta-machi-chie-koin Stop and walk to the shop for 3 minutes. Take the City Bus or JR Bus to Senbon-maruta-machi Stop, and walk to the shop for 5 minutes. Take the City Bus #10 Line to Maruta-machi-chie-koin Stop, and walk to the shop for 4 minutes. We have the lots across the Shimo-dachiuri Street and the next door but one.